Define: Find an app you can use for the chemistry unit in science and then proceed to write a review using solution fluency. 1. Will it cost money to use? 2. Will this app actually be useful for my learning? 3. How are they going to teach me chemistry? My Dream is to make chemistry the easiest it can be and then be aloud to use this in class and have everyone use this and have it be class wide. My plan of action was to browse through the apple app store and try out and read the reviews of a variety of apps, then choose the one I like best. 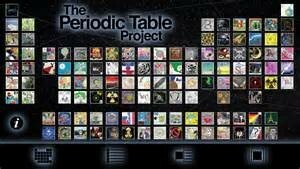 The app that I chose was called The Periodic Table Project that is circulated around the periotic table and I find this extremely helpful and easy to use. I am a visual learner and this app gave examples of what each element does and the atomic number and such. Small app, periodic table layout, easy to use, for all smart phones and tablets. Overall this app is very useful for visual learners like me and anyone who needs help under standing what the element is and what it is used for. This app might not be useful for people that are in higher grades and that have memorized the periodic table but for me coming into grade 9 and knowing little about each element, this will be very helpful to me and other people. This app also fetures a A-Z list of all the elements and a scroll wheel to quickly find a element. Wow this is incredible. 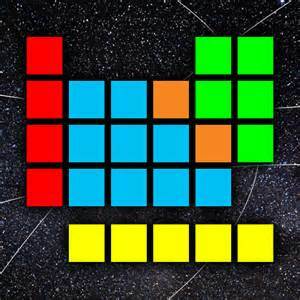 How did you find this app? I was looking for an app and I found this really good periodic table app and I thought I would download it and check it out. This is a very thorough post. I really like how you were very clear on which parts of solution fluency you were sharing about. One thought would be to change the word “discretion” to “description”. Thanks for including a bonus section! Thank you Mr. Robinson for the great comment and ill be sure to fix that. Really cool! I love how organized your page is. Hey Isaac. I think you did a really great job on this. I would like to know if this app is available across all platforms? Are there any alternatives to this app? Yes it is, I said that in my post if your scroll up. Well Jared I worked on this at night and I really liked this app so I thought it would be really good to do a project on. Do you have a link to the app ? 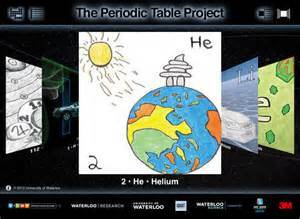 Yes go into the apple store or google play store and look up the app name The Periodic Table Project. You’re post was very well written and was informed. My question in why did you chose this app, and why would you use this app over other apps that helps with the periodic table? Well Dan you miss spelled “Your” and I liked this app because it is for visual learners and I’m a visual learner so I thought it was really good to use. Thanks Isaac. I forgot that you’re a grammar king and your a good guy so I’m sorry about that. Other then that your project was really good. I really liked the format you wrote it in. You should check your spelling as there are a few grammer mistakes, but other than that great spelling. What are all of the features that this app has? Thanks Nicholas, the other features are that you can do lots more if you download the app and use it. What I’m saying is that there’s to many uses to say them all.